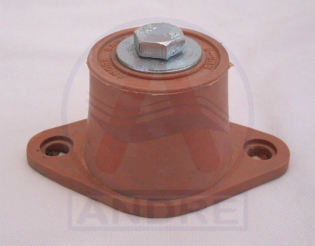 RMD Series are elastomeric mounts which provide effective vibration control for all types of rotating machines. The RMD Series double deflection rubber in shear mounts are color coded for identification of loading capacity and prevents installation errors. The RMD Series have ribbed and non-skid bases. 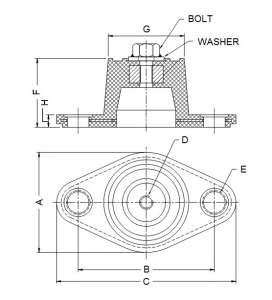 No bolting of anchor bolts is required for machines that have no lateral motion.